The safest and most convenient way to handle open or closed end drums. 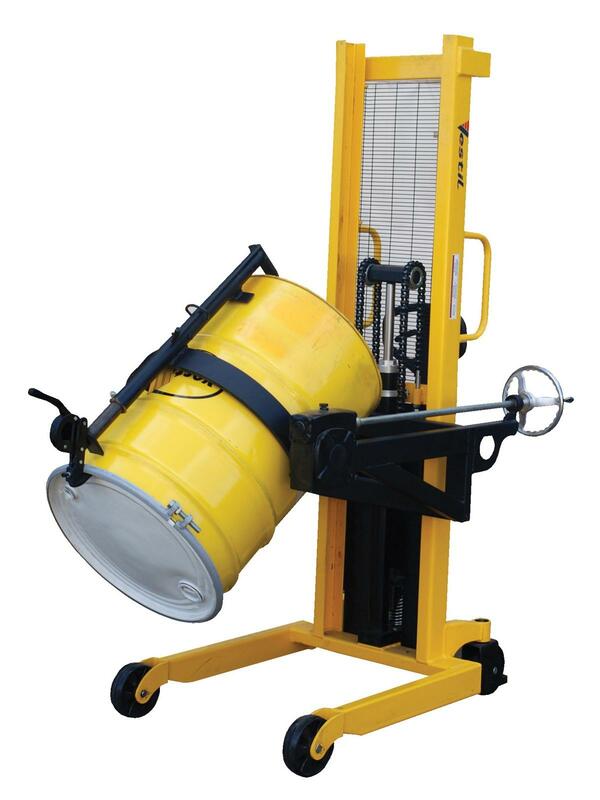 The multifunctional unit, model HDRUM-LRT, has a hand pump that lifts drums from ground level to a raised height of 62" to bottom of drum in vertical position. 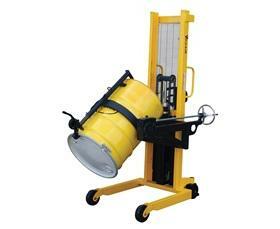 For use with 55-gallon steel or fiber drums. A hand gear mechanism provides the controlled 360° rotation of the drum. A floor lock is standard to stabilize the unit in a fixed position. FOB Shipping Point. 33" x 52" x 85-7/16"